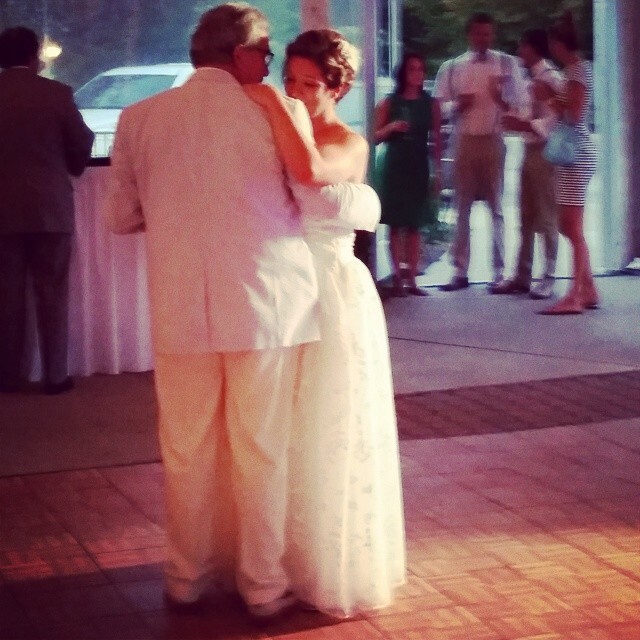 [2014 Wedding Recap] Congrats, Tyler and Stephanie! 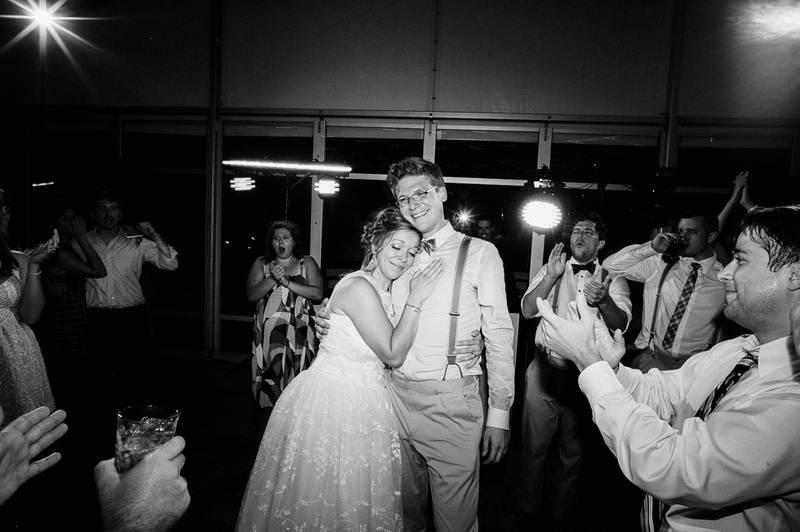 Tyler Wadsworth and Stephanie Villaire wanted an open, elegant wedding – one that also featured their mutual loves of Star Wars and sailing. The Shoreby Club in Bratenahl was definitely the perfect, picturesque location for what they envisioned! During the planning process, it helps to work with someone that “gets” you and what you’re trying to accomplish. Very early during the planning it was clear that Gene had established a solid rapport with both Stephanie and Tyler’s families, working with them every step of the way to make sure everything was set up for success on the day of the event. Shoreby is a picturesque location for a wedding, and Stephanie and Tyler took full advantage of that fact. They decided to go with an outdoor ceremony on the back lawn of the club overlooking the lake – absolutely stunning. With a large number of guests in attendance, it was important to make sure everyone could hear the pastor, who was an older, soft-spoken gentleman. Fortunately that was not a problem with the professional sound reinforcement provided by Burning River Entertainment. All the guests continued to mingle on the lawn, as the music continued and the dinner space was finalized by the Shoreby Club catering staff. Dinner and dancing soon migrated to the tent on the west end of the property, a beautiful clear-span tent provided by AAble Rents. The head table was situated on the north end of the tent, to again take advantage of the beautiful backdrop provided by Lake Erie. Each table was lit by strategic candlelight, and the canopy of the tent was illuminated by rows of bistro-style string globe lights – as though a field of stars was present with the wedding party, despite the fact that it was still light out! Photo Credit: Gene Natale, Jr. 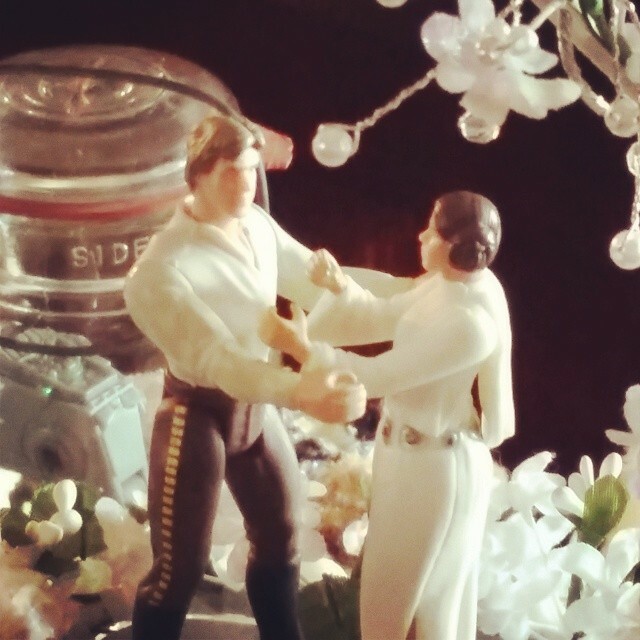 The reception decor clearly took on Steph and Tyler’s personality, showcasing their mutual love of Star Wars – even the cake toppers featured Star Wars characters Han Solo and Princess Leia in place of the usual bride and groom avatars. The key to a successful reception is one that begins and ends with applause – and this day would be no different. 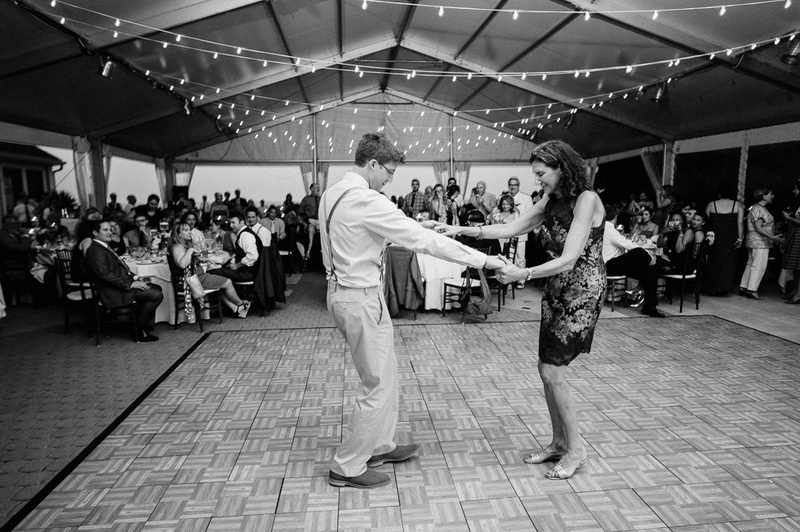 A high-energy introduction to the bridal party featured Tyler and Stephanie’s parents, the bridal party, and the bride and groom all entering the tent to the strains of a “disco-fied” medley of Star Wars songs as the guests cheered and applauded from their tables – rocking it out! After several heartfelt toasts to the happy couple and a wonderful meal catered by the Shoreby Club staff, it was time to get down on the dance floor! 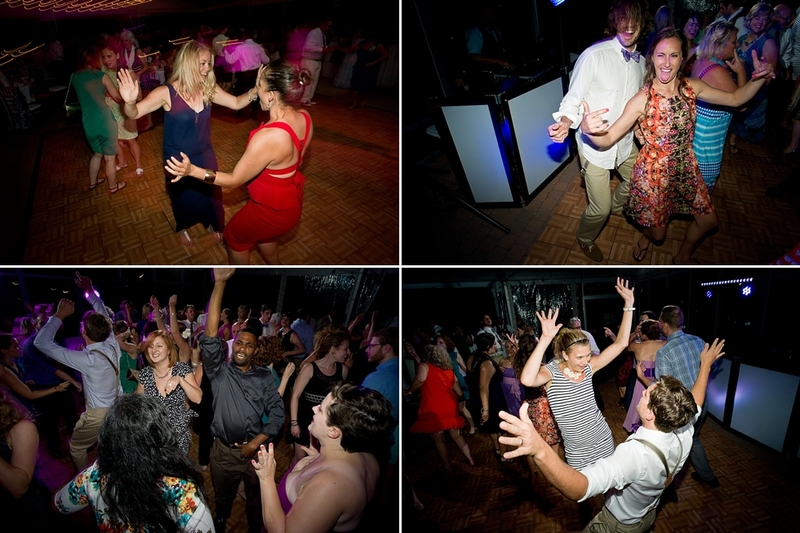 The dance floor was officially christened by a slate of formalities including the First Dance, Father-Daughter and Mother-Son dances – and after a few happy tears were shed, the floor was ready to rock with the MC/DJ team of Gene and Nate from Burning River Entertainment! The dance party featured music from a nice variety of eras and genres – starting out with some older classics from artists such as Michael Jackson, traversing to the era of 90’s pop and hip-hop, to even a set of classic salsa songs for the salsa dancers in attendance! As the night came to a close, there was still enough people on the dance floor to keep it going for another hour or two – that energy and love culminated with the final song of the night, “The Promise” by When in Rome. All the remaining guests clasped hands and formed a circle around Stephanie and Tyler, wishing them well on the first night of the rest of their lives – to a long, happy and prosperous marriage! ← Weddings – Classy, Fun, Memorable!